A renowned music school at one of the largest universities in Tennessee. 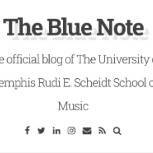 Located in the heart of music-rich Memphis, Tennessee, The Rudi E. Scheidt School of Music provides the best of both worlds: personal instruction in music from accomplished artist-scholars, and all the benefits of a large, world-class university. With an international reputation for excellence, we have always attracted top talent. Our renowned music program offers bachelor's through doctoral degrees in 29 areas of concentration. As Tennessee's only doctoral degree granting program in music, we are setting the tone for creativity and excellence. We are a comprehensive music school, known for our diversity and dedication to our role as a cultural and intellectual resource for the university, the city, and the wider musical world. We present more performances than any other music organization in the Mid-South. Our teaching and research are deeply devoted to the preservation and growth of music as an art, a craft, a profession, and a treasury of human wisdom. Hear what our students are saying about the School. On April 15, the Ceruti Quartet returns to perform Beethoven's Quartet Op. 18 No. 4 and the Grosse Fuge. When they appeared, the Op.18 quartets were immediately recognized as the highly challenging utterances of a brilliantly original composer. According to Igor Stravinsky, the Grosse Fuge "now seems to me the most perfect miracle in music." 7:30 PM, Harris Concert Hall, Admission is free. On April 23, the Southern Comfort Jazz Orchestra will rocket you to the moon and stars! With tunes like Stardust, Moondance, and Stella By Starlight, the band will take you high into outer space. Blastoff is at 7:30 PM. Don't miss it. Love, loss and fate shape our lives. They also shaped the music of composers for the April 24 performance by the UofM Symphony Orchestra. From Tchaikovsky, we will hear the Polonaise from Eugene Onegin. Edvard Grieg's Piano Concerto in A minor, Op. 16, Mvt. 1 will be performed by David Córdoba, piano. In a Memphis premiere, we will hear Scenes from Indian Country by Curtis Cacioppo. The program will close with Les Prelude by Franz Liszt. 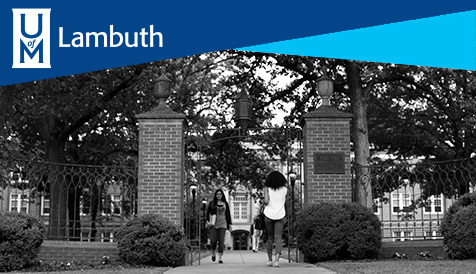 Read the latest version of The Bluenote, the School of Music newsletter.